To celebrate the launch this month of the audio edition of Deadly Ties, I’m running a giveaway! Post a comment here for a chance to win one of three complimentary copies of my audiobook, narrated by the oh-so-wonderful Robin Rowan. The contest runs through Saturday, October 4th, and the winner will be drawn at random on Sunday, October 5th. The rules are about as simple as you can get: just leave a comment. That’s all there is to it, and you’re entered to win! My heart was pounding—POUNDING—at the end of Chapter 41!!! And now, here’s your chance to get your own heart racing! Listen to a sample of Deadly Ties. Then leave a comment (remember to ask a question!) for a chance to win a free audio edition of Deadly Ties. Looking for a good book or two? How about more than a hundred? Please visit Susan Toy’s terrific site, Reading Recommendations (http://readingrecommendations.wordpress.com/) and browse through the many authors and titles she’s featured there. I’m honored today to be included there–thanks, Susan! And I’d be remiss if I didn’t take this opportunity to promote Susan’s work. Find her blog here, and enjoy an excerpt of her book Island in the Clouds while you’re on her site. You can read the excerpt here–it’s posted as a flip book (very creative!). I hope you’ll take some time to check out the excerpt of Susan’s book and browse the amazing collection of authors and books at http://readingrecommendations.wordpress.com/ Find a new favorite? Post a comment and let us know! The talented Robin Rowan has lent her magical voice to all sorts of fiction, including my own Deadly Ties. She counts mysteries among her favorite sort of books, and has worked with debut novelists and veteran bestsellers alike. 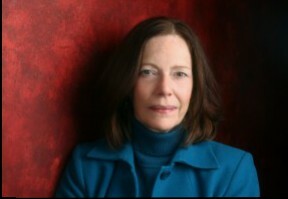 One of those bestselling authors is Libby Fischer Hellman, a past president of Sisters in Crime and who, according to her website, writes “Compulsively Readable Thrillers.” She’s published eleven novels and twenty short stories, edited an anthology, and currently runs a communications firm where she writes and produces videos and conducts speaker training programs. Libby Fischer Hellmann’s thriller TOXICITY is as gritty as it is spellbinding. Populated with fully-realized characters, TOXICITY introduces us to Hellmann’s signature heroine, Georgia Davis. But we meet Georgia ten years earlier, when she is a young and determined rookie on a Chicago police force. In Georgia’s debut, we see her tenacity and strength, but also her vulnerability: the seeds sown for the woman she will become. TOXICITY works on all levels, drawing the reader inexorably into a web of deceit, heart-crushing loss, and righteous fury. This wicked brew explodes in a stunning and satisfying conclusion that answers every question. Hellmann pulls no punches. You can find the trade paperback here, and the Kindle edition here. Prefer audio? Listen to an audio sample here. And speaking of audio editions, Libby and I share something else in common. The books Robin has narrated for us are set for “Whispersync for Voice.” According to Amazon, that means you can switch back and forth between reading the Kindle and listening to the audio edition. Plus, there’s a special reduced price of just $1.99 available to eligible customers–check it out, and add this one to your collection of thrillers today! It’s always fun to watch the reaction when I tell folks I’m a member of Sisters in Crime. Some chuckle, some look confused, and a few seem downright nervous until I explain the organization celebrates the mystery genre and supports women (men, too!) who write mystery, suspense, and thriller fiction. I’ve been very fortunate to have the support and encouragement of so many in this group this past year as I launched my third book and debut novel, Deadly Ties. That support continues as I celebrate the release of the audio edition of the book, and I’m truly grateful. Today, I want to turn the spotlight on three “Sisters” and fellow authors who write compelling mystery fiction: Cathy Perkins, Mark Troy, and Marilyn Larew. Read on for details and links! Cathy Perkins is an award-winning author who works in the financial industry where she’s observed the hide-in-plain-sight skills her villains put into practice. Whether writing darker fiction or lighter works, she delivers stories with strong characters who must overcome serious obstacles in pursuit of justice. If you like psychological thrillers or edgy mysteries with a romantic twist, give this author a try! When a hit-man kills the wrong person, a Greenville, SC detective confronts hidden agendas and conflicting motives in a powerful local family, while trying to control his attraction to the intended victim—a woman who should be dead, but instead is hell-bent on saving the remnants of her family. Unwilling to stand by while her family and world are destroyed, she rips apart the secrets surrounding Cypher, the company her father built—and will take any measures to defend. When you hear the name Sisters in Crime, you might think it’s all about women. Not true, as Mark Troy can tell you. 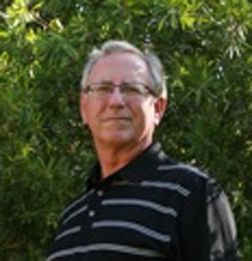 Originally from St. Louis, Missouri, Mark has traveled quite a bit, to include Thailand, Hawaii, and most recently Texas. Private eye Ava Rome’s calling is to protect the defenseless. She takes on the cases of Jenny Mordan, a working girl who is being harassed by a police detective, and Cassie Sands, a teenager who is mixed up with a marijuana grower. Norman Traxler did ten years in San Quentin nurturing his hatred of Ava Rome, the young MP who took him down for assaulting a prostitute. When Traxler, the detective and the grower join forces against her, Ava’s calling — protecting the defenseless — becomes a fight for her life. This dark thriller takes you on a tour of paradise tourists never see. Waikiki, Hawaii. Dark clouds of revenge. Twisted motives. A bloody finale. You can read an excerpt of The Splintered Paddle on Mark’s website, and find his books for sale on Amazon. If you’re a fan of intense, dark thrillers, this author might be just right for you! Although I live just over the Mason-Dixon Line in southern Pennsylvania, I love to travel – Hanoi, Hong Kong, Istanbul, Cairo, and, of course, Paris and London. On a bad day, I’ll even go to Philadelphia. In my books I want to take you to places like that and show you international crime and terrorism. My books deal with drug runners selling dreams and death, merchants of death selling weapons to all comers, and human traffickers selling women and children into modern day slavery. These businesses produce mountains of money that has to be washed so the profits can be used. Some of this money goes to terrorist groups determined to destroy us. Lee Carruthers, black money specialist for the CIA, follows the path of this illegal money to put these people out of business. 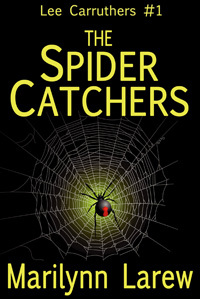 A review posted by Chanticleer Book Reviews called The Spider Catchers “a white-knuckled spy thriller about human trafficking and dirty money funding terrorism.” CIA analyst Lee Carruthers is ordered to Fez, Morocco, to find a missing colleague and winds up in a terrorist camp in the Algerian desert. You can read an excerpt from the first in the Lee Carruthers series on Marilynn’s website, and keep up with all her news on her blog. Her work is currently available in paperback and Kindle editions on Amazon. You can order a signed copy direct from the author; visit her website for details. I hope you’ve enjoyed this sampler of thrillers! Readers, Listeners, & Book Lovers! In early August, I shared the exciting news that I’d signed a contract for an audio edition of my book. (Missed that post? Find it here.) Today, I’m thrilled to announce the audio edition of Deadly Ties is now available on Amazon, Audible, and iTunes. Listen to the sample here: http://tinyurl.com/oaxdanq. The narrator is the wonderfully talented Robin Rowan. She’s a top producer and one of the very best in the business. Robin graduated from the University of Wisconsin-Eau Claire, where she majored in oral interpretation of literature. (And how perfect is that for a voiceover artist?) She’s credentialed as a top Audible producer and is a member of the Audio Publishers Association, the World Voices Organization, and the National Forensics League. I count myself fortunate indeed to have Robin with me on this creative journey. She’s matched the voices I hear as I’m writing this series, and it’s been a joyful experience listening to her. I wanted all of you to have a chance to learn a bit more about the work that Robin does, and how she came to work on this project. Questions and comments most welcome; Robin and I will both do our best to answer any questions you might have. Why did you audition for this book? What attracted you to Deadly Ties? I chose Deadly Ties for an audition on ACX because a) it was a mystery/thriller (my favorite! ), b) I really liked the audition script and wanted to read more, and c) it centered around dogs. I’m not sure someone who didn’t love dogs could do justice to the script, right? So I put myself out there and hoped that Susan could “hear” that I was the right fit for her book. Thankfully, it all worked out! Do you have a special studio where you work? As the narrator, I have to become immersed in the story and live it 24/7 while I’m in the recording process. When I’m recording a book, I can’t wait to get into the studio. My studio is a converted walk-in closet about 8’ x 6’ right off of my bedroom. But you don’t need much room at all, and as long as the space is fairly well soundproofed, it doesn’t matter where you put it. I actually left one wall of hanging clothes on the street side of the studio because clothes serve as an excellent sound-deadener. I also utilize giant 4’ x 2’ acoustic panels on the other walls and ceiling to deaden the sound as much as possible. How do you develop a “voice” for each of the characters? I was lucky that Susan provided me with a list of characters and their descriptions—a bonus for the narrator (publishers and authors, are you listening?). Otherwise, narrators need to pick up clues about each character from the context, which can be tricky. I spend a good deal of time “learning” personalities—the laid-back, kindly sheriff Lucas Johnson, the feisty but genuine Sylvia Bridger, the elderly and gossipy Abigail Simmons. Once I have an idea of how to portray my characters, I’m ready to start. As I record a character, I take a snippet of their lines and save them as separate files (e.g., “Maggie”). So if a character appears on page 27 and not again until page 53, I can call up the character’s file and listen to how he or she was portrayed. Could you walk us through your recording process, and how long it takes per book? I get a huge glass of Milo’s sweet tea (it uses corn syrup) to keep my whistle wet and cut down on mouth noises, and put on a little “Kiss My Face” lip gloss for the same reason. That might sound funny, but narrators do whatever we can to keep lubed up when we’re reading for hours on end! Slices of green apple also come in handy. So I fire up the computer, open the recording software, and find the page or chapter where I left off in the manuscript. I always read off of the computer screen—first, because there’s no paper noise of turning pages and I can highlight areas for special emphasis or perhaps if I have a question for the author or publisher. I can also spell out unfamiliar words phonetically next to the word in the text itself. I record one chapter at a time, and when I make a mistake, I snap my fingers to mark the spot (which you can see easily when you go back to edit), then re-record the line I flubbed and keep going. I save my work and go on the next chapter. I can spend 4 hours at a time recording and you know when to stop when you hear your own voice start getting a little ragged. I go back and edit out mistakes, some breaths, and any extraneous noises, and then listen again to the entire chapter to proof it with the manuscript. Each finished hour takes between four and five hours in the studio. As a dog lover yourself, do you have a favorite canine character? Although Sam is a fine dog and very talented, my favorite canine character has to be Mr. B. He experienced some PTSD and was fairly uninvolved in his surroundings for most of the book. Once he met Zak, though, he started to come out of his shell and he and Zak had some kind of bond that no one else had. You get the sense that he would continue to improve under Zak’s watchful eye and tender care. I’ve recorded more than 30 books, and Deadly Ties is my favorite book to date. I love this career, and services like ACX that make collaborations like this possible. The ACX web site has been a boon to people like me, and to people like Susan, since it exists simply to bring book narrators and authors/publishers together. I look forward to continue recording for many years to come! And there you have it, folks! I’m new to the world of audio books and grateful to have an experienced professional join me on this adventure. She posted chapter segments to the production page, which gave me a chance to listen to each chapter and provide explicit feedback. (Some narrators don’t do this, so writers contemplating a project like this should discuss this with their narrators before they start.) Because Amazon uses “Whispersync for Voice” so you can switch between listening and reading, it was essential we got everything exactly right. Robin’s work was phenomenal, and I’m very proud of our finished product.